Character is the moral, ethical, and spiritual fortification that keeps life steady through the tremors of compromise. Our character dictates the kinds of decisions we make and determines how we will treat those around us. Unfortunately, in today’s world, this important trait is in short supply. This series will help you to become a person distinguished by godly character so you can make a meaningful impact on the world around you. 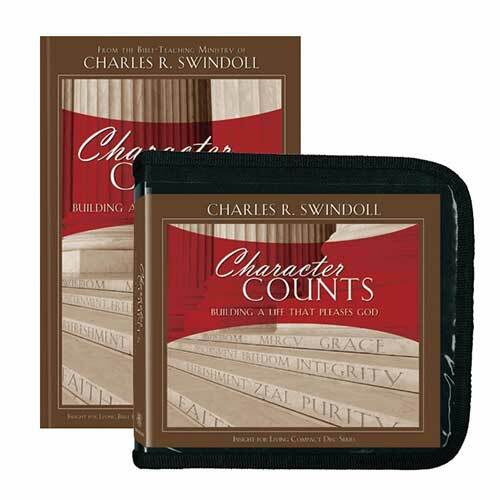 Copyright © 1973, 1974, 1980, 1982, 1987, 1988, 1990, ℗ 2013 by Charles R. Swindoll, Inc. All rights are reserved worldwide.